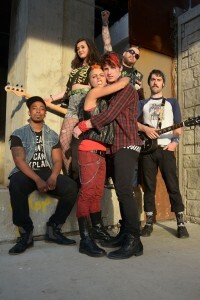 The Hypocrites are thrilled to launch their 2015-16 season this fall with the Chicago premiere of the smash Broadway musical AMERICAN IDIOT, featuring music by Grammy Award-winning punk rock band Green Day. 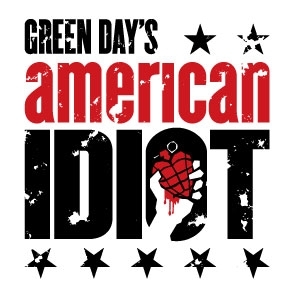 With a book by Green Day frontman/guitarist Billie Joe Armstrong and Michael Mayer and lyrics by Armstrong, AMERICAN IDIOT will be directed by Artistic Council Member Steven Wilson with musical direction by Andra Velis Simon and choreography by Katie Spelman*. Performances will begin in early September 2015 at The Hypocrites’ new home, The Den Theatre Mainstage, 1329-1333 N. Milwaukee Ave. in Chicago’s Wicker Park neighborhood. Tickets for AMERICAN IDIOT will go on sale Tuesday, February 24, 2015 at www.the-hypocrites.com. Casting will be announced at a later date. Based on punk rock band Green Day’s Grammy Award-winning multi-platinum album of the same name, AMERICAN IDIOT follows three lifelong friends, forced to choose between their dreams and the safety of suburbia in a post 9/11 world. The musical features hits including “Boulevard of Broken Dreams,” “21 Guns,” “Wake Me Up When September Ends,” “Holiday” and the blockbuster title track, “American Idiot.” A critical smash on Broadway and in London, AMERICAN IDIOT received a 2010 Tony Award nomination for Best Musical and won the 2011 Grammy Award for Best Musical Show Album. Steven Wilson (Director) recently returning to Chicago after being away for three years, earning his MFA in Directing from The University of Texas at Austin. Prior to furthering his education, Steven lived in Chicago for 15 years and worked as a performer, director and educator with many great organizations including Lookingglass Theatre, Court Theatre, Griffin Theatre, Factory Theater, The House Theatre and LiveWire Chicago Theatre. Steven was the first company member of The Hypocrites and has performed in more htan 15 Hypocrites productions. He was last seen with The Hypocrites performing the title role in Oedipus in 2009. Since his return to Chicago, Steven has assumed a leadership position with The Hypocrites as a member of The Artistic Council. 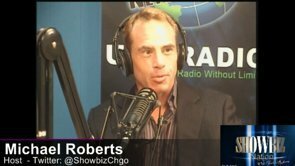 He has also resumed his role as the company’s Casting Director, which he previously held for three seasons. Steven is an Artistic Associate with A Red Orchid Theatre, where he directed Craig Wright’s original adaptation of Homer’s The Iliad, and was the founder of A Red Orchid Theatre’s Youth Ensemble. Since earning his degree, Steven has worked around the country in places including Pittsburgh (City Theatre, No Name Players), Austin, TX (The Zach Theatre, Fronterafest) and Arkansas (TheatreSquared). Andra Velis Simon (Music Director) co-arranged and music directed The Hypocrites’ productions of Pirates of Penzance, The Mikado and H.M.S. Pinafore, which have played at The Den, the Chopin and the Steppenwolf Garage in Chicago, as well as at A.R.T. outside of Boston and the Actors Theatre of Louisville. Andra is the Musical Director for the Theater Department at Columbia College Chicago, where she also serves as an adjunct faculty member, teaching several musical theatre performance courses. As a music director, vocal coach, pianist and arranger, Andra has worked with dozens of arts organizations in and around the city and across the country. Most recently, she music directed Mr. Burns: A Post-Electric Play for Theatre Wit. At The Goodman Theatre, she music directed Camino Real and served as music coach on The Iceman Cometh, currently remounted at BAM. Other highlights include A Year with Frog and Toad, Goodnight Moon and The Hundred Dresses for Chicago Children’s Theatre; Bailiwick’s production of Violet at the Mercury Theatre; and Boojum! at the city’s Storefront Theatre. Katie Spelman (Choreographer) is happy to return to The Hypocrites where she has choreographed Pirates of Penzance, The Mikado and Into the Woods. Other Chicago credits: James Joyce’s The Dead (Court Theatre); RENT, In the Heights, Hair (Paramount Theatre); JUNO (Timeline); Idomeneus, Theories of the Sun (Sideshow Theatre Company); Bellboys, Bears and Baggage (Redmoon); Fanny Brice (Asolo Repertory); Down and Derby (The New Colony); CPS Romeo and Juliet (Chicago Shakespeare Theater); 48 Hour Musicals (The Music Theatre Company); The Fly Honey Show (The Inconvenience); and Cabaret, Spelling Bee, The Who’s Tommy (Northwestern University). New York: Associate Movement Director for Once (Broadway, 1st National), Associate Director for What’s It All About? (New York Theatre Workshop) and Associate Choreographer for Brooklynite (Vineyard Theatre). Katie is a graduate of Northwestern University. Artistic Director Sean Graney created The Hypocrites in 1997. The Hypocrites, one of Chicago’s premier off-Loop theater companies, specializes in startling and thoroughly entertaining adaptations of classic plays and stories, mounting bold productions that challenge preconceptions and redefining the role of the audience through unusual staging (such as promenade and in-the-round) and direct engagement. The mission is to explore recognizable stories—mixing the familiar and the strange—to make theater that thrills and provokes, defying expectations with humor, staging, and surprise. The company has a reputation in Chicago for creating exciting, surprising, and deeply engaging theater as it re-interprets well-known works for contemporary audiences, reveling in the absurd while revealing the core of what makes classics classic. The company has grown significantly in the past few years, receiving acclaim for productions at the Steppenwolf Garage, Goodman Theatre, Museum of Contemporary Art, DCASE Storefront and Chopin Theater. The company’s smash-hit production of Our Town, directed by David Cromer, transferred in 2009 to Off-Broadway, Los Angeles and Boston. The Pirates of Penzance has appeared at Actors Theater of Louisville and American Repertory Theater (A.R.T.). A.R.T. has also brought Romeo Juliet, 12 Nights and The Mikado (forthcoming). The American Theatre Wing, best known as the creator of the Tony Awards, presented The Hypocrites with one of the 2013 National Theatre Company awards in 2013. The critically acclaimed fall 2013 production of All Our Tragic is being brought back by popular demand in June 2015. For more information, please visit www.the-hypocrites.com.